We provide liability Insurance for drainage and irrigation contractors across Ontario, Canada. This type of insurance protects the contractor company form lawsuits in the event they make mistakes or cause any party bodily or financial losses as a result of their work operations. Our rates for Drainage and irrigation general liability insurance starts at $495/Year for $2,000,000 in coverage. Speak to a broker today by calling 1.888.480.7677 or apply by clicking below! If you are a drainage system, irrigation contractor who operates within the Canadian border in a city like Toronto, you probably already know that Toronto contractor general liability insurance is an essential part of doing business. You and your employees are exposed to tons of physical and unforeseen hazards everyday on the job. And, without this coverage you could be open to some major complications or lawsuits. With that being said, you might be surprised to learn that the premiums of drainage and irrigation liability insurance costs have increased more than 50 percent of the past five years. For most small contractors this is extremely troubling, but general liability insurance for irrigation contractors is something that you just can’t do without, so what are you left to do? Have you heard big box stores claim, “The more you buy, the more your save?” This is not always the case, because you end up buying tons of extra things that you did not need in the first place. However, this is not always the case when it comes to shopping for irrigation and drainage contractors general liability insurance. When you shop and buy from the same insurance provider, you can bundle your packages such as commercial auto insurance, tools and equipment, and standard CGL coverage all together, which will actually save you some money. In fact, there are even a lot of providers that offer special packages to low-risk profile companies. A lot of these packages comes pre-bundled and offer a variety of different coverage at a discounted rate. These packages are oftentimes referred to as Business Owner Policies, so be sure to ask about these policies when shopping around with different providers. Throughout your quest for general liability insurance, you will find that premiums can be paid in monthly or annual installments. Most contractors make the mistake of going for the smaller payments each month because this option seems more enticing and affordable. However, if you sit down and do the calculations, you will find that paying the annual payment up front in one lump sum will actually save you some money in the long run. In addition to this, a lot of insurance companies will offer discounts and special rates to contractors that are willing to make the full payment upfront. Plus, this will be another bill that you don’t have to juggle from month to month and worry about forgetting. With the convenience of the Internet, the whole process of buying insurance is easier. For example, shopping for general liability insurance for Brampton contractors in the GTA region has truly become a piece of cake. You will find that you can easily and quickly get tons of different quotes from several providers within just a matter of minutes when you search online. Saying that, be sure to shop around with at least three or four different companies, before making a final decision. Keep in mind that the cheapest provider isn’t always the best option. After all, there is a reason that they are cheaper than the other providers. Maybe they are not offering as much coverage, or maybe they do not specialize in the type of risks that your company is exposed to. Whatever the situation may be, these are all things that you need to consider, when searching for brokerage or insurance company. When you have more employees, you can truly get more work done. Unfortunately, when it comes to general liability insurance the more employees you have, the higher your rates are going to be. Insurance providers consider more employees to be a higher risk. There is a greater chance that one of them could error in the future. If you are a busy company, there might not be a chance that you can lower your employment, but if you are experiencing some slow periods, it might be a good idea to call your broker to review what your contractors insurance policy covers and to possibly also get rid of a few employees to lower your general liability premiums. It might not seem like a fair practice, but the more money your company handles, the higher your general liability insurance for irrigation and drainage systems company premiums are going to be. Unfortunately, if you are making lots of money, you probably do not want to loose this asset. So, there really is not going to be anything that you can do about this. However, you could consider charging a little less for each job, which would show up as less of a risk to provider, but it would unfortunately mean that you will not be making as much as a profit either. 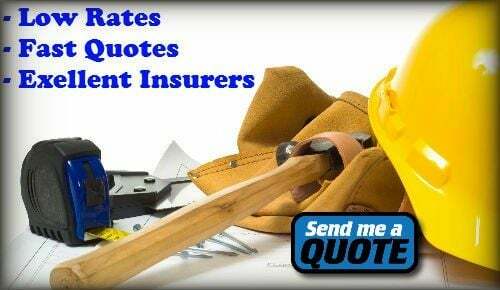 If you are ready to look into purchasing insurance, you can request a quote by filling the form below or get a better understanding of how you can apply for contractors insurance. Apply for Drainage and Irrigation Contractors General Liability Insurance Quote Now!